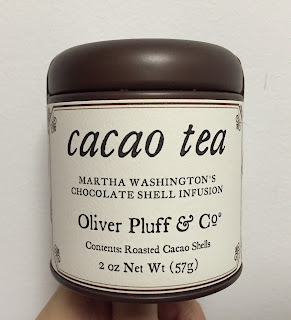 When we went to Philadelphia and walked around The Liberty Bell Center and The Independence Hall, we bought a tin of Martha Washington's Cacao Shell Tea. 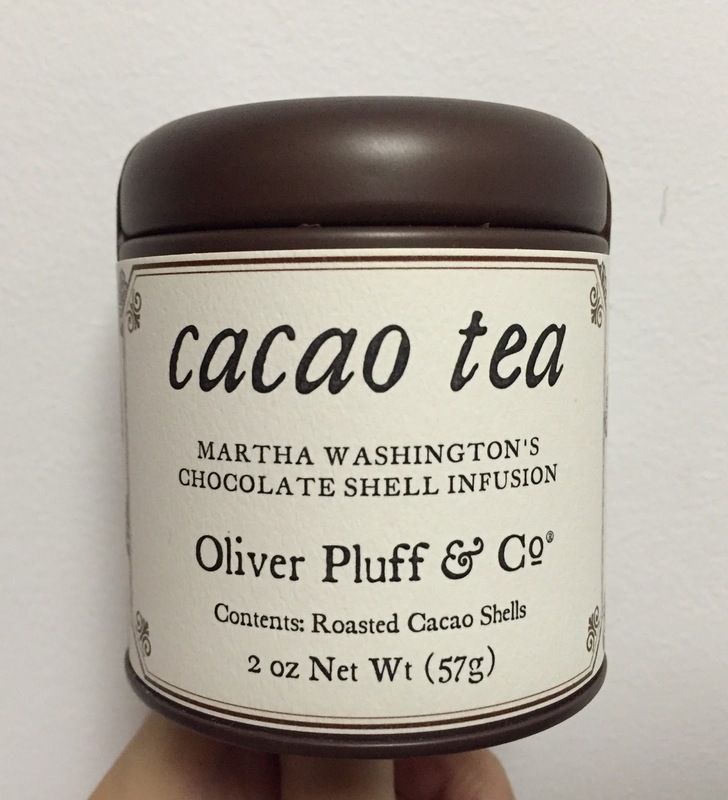 Martha Washington enjoyed drinking cacao shell tea, which she made from roasted cacao shells and sipped at breakfast. 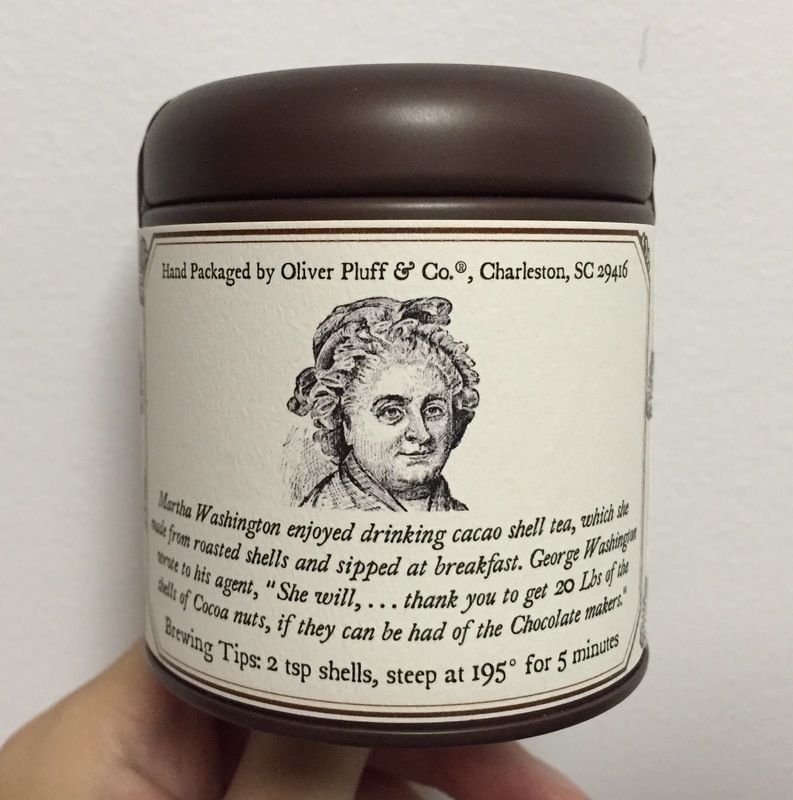 George Washington wrote to his agent, "She will, ... thank you to get 20 Lbs of the shells of Cocoa nuts, if they can be had of the Chocolate makers." There's no plastic or foil over the loose shells so that when I opened the tin, some shells fell out. 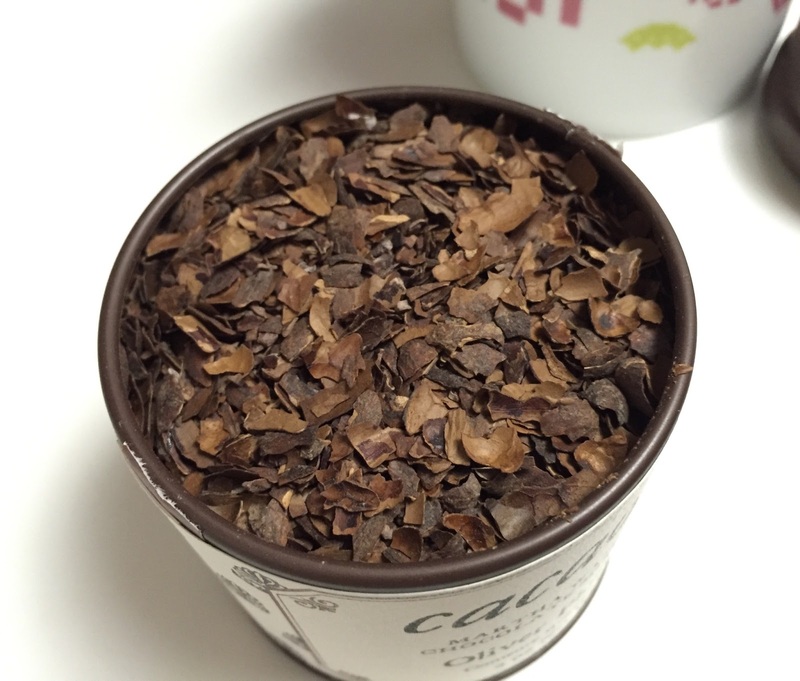 It smelled like chocolate and coffee as it's nutty and toasty. Following the direction, I put 2 teaspoons of shells and steeped for 5 minutes with hot boiling water. 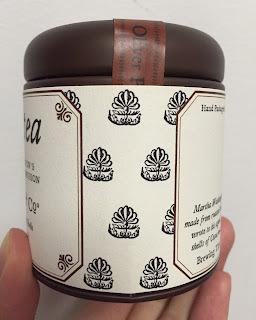 The color was black tea, scent was chocolate, it tasted as bitter as coffee. 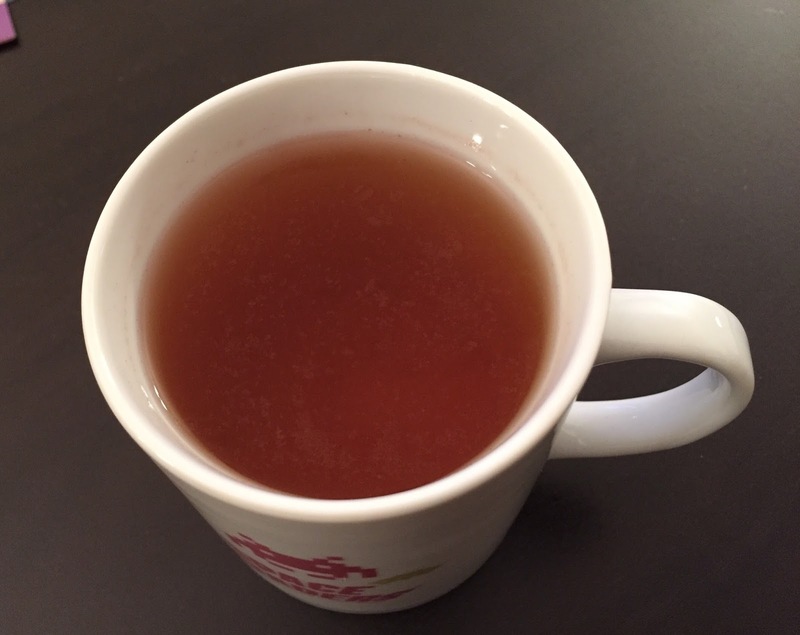 It's too bitter for me to drink straight and I needed some sweetener. Maybe I could reduce the amount of shells to brew next time.